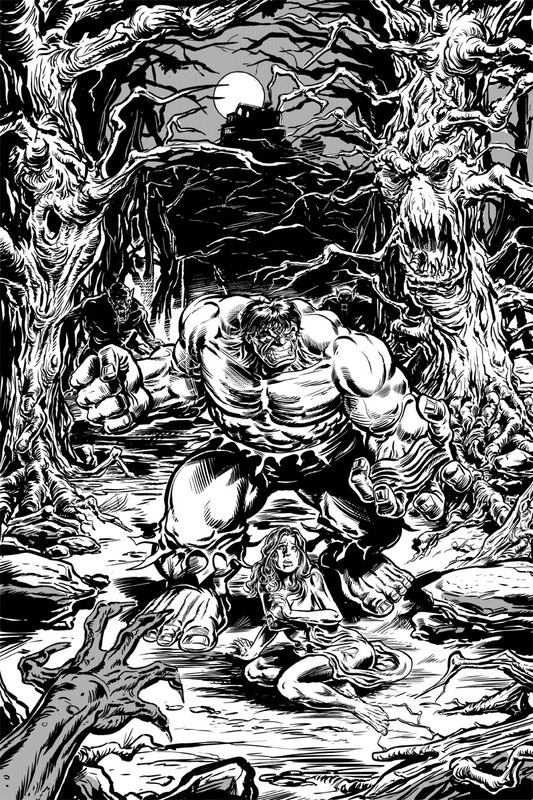 This is something that is inspired by an old Hulk horror story idea I had years ago (and something I intend to pitch to Marvel... oh yes!). I decided to go with a slightly different style to what you guys are used to seeing from me. 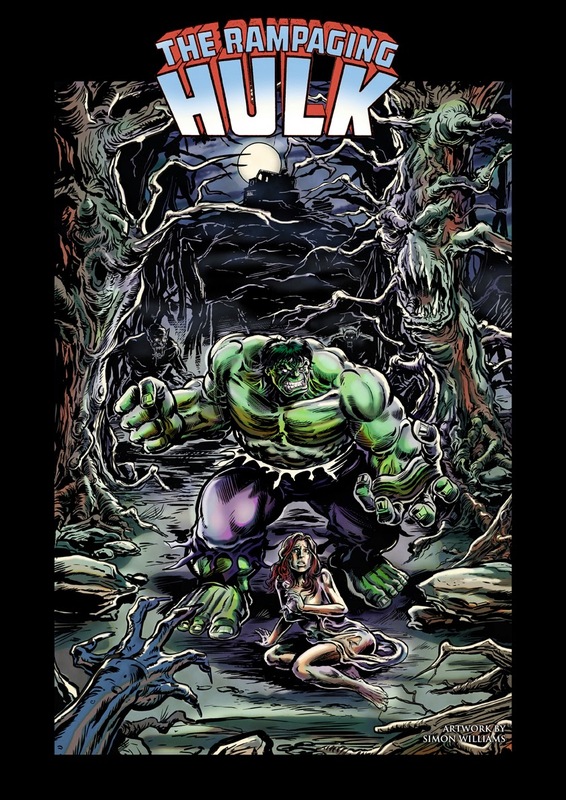 I've tried to give it the vibe of the old 1970's RAMPAGING HULK title (although I could never hope to match the painting styles of Earl Norem, Bob Larkin or Joe Jusko, as you can see in the colour version below the main image). I'm really pleased with how this has turned out. I hope you like it! 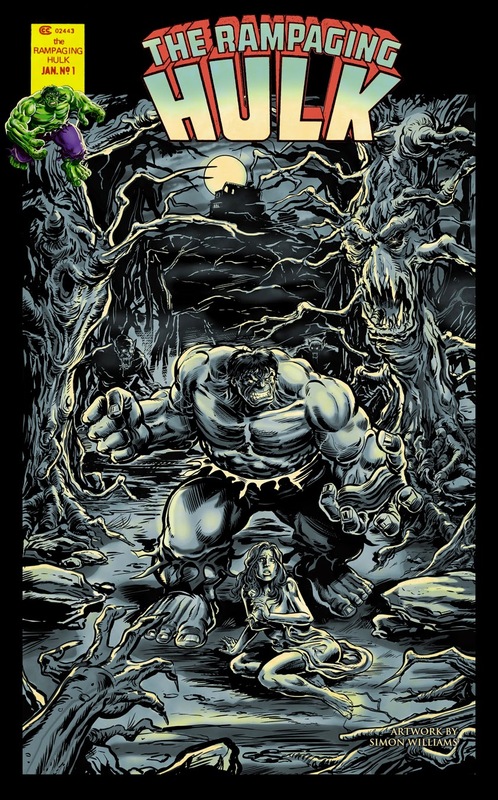 ABOVE: The RAMPAGING HULK... a tribute to the classic 70's Marvel Magazine. BELOW: The original inks, and the full colour version.